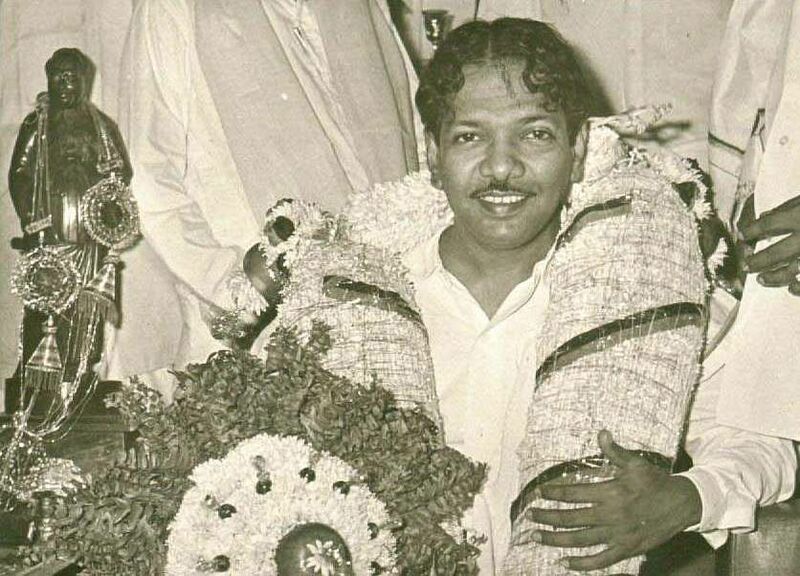 Karunanidhi married three times to late Padmavathy, Dayalu Ammal, and Rajathiammal. He has four sons— M K Muthu, M K Alagiri, M K Stalin, and M K Tamilarasu and two daughters— Selvi and Kanimozhi. Muthuvel Karunanidhi, born in 1924, was the supremo of one of Tamil Nadu's major political party Dravida Munnetra Kazhagam (DMK). Fondly called as Kalaignar for his interest in arts and literature, he has been the chief minister of Tamil Nadu five times. He married three times to late Padmavathy, Dayalu Ammal, and Rajathiammal. He has four sons— M K Muthu, M K Alagiri, M K Stalin, and M K Tamilarasu and two daughters— Selvi and Kanimozhi. 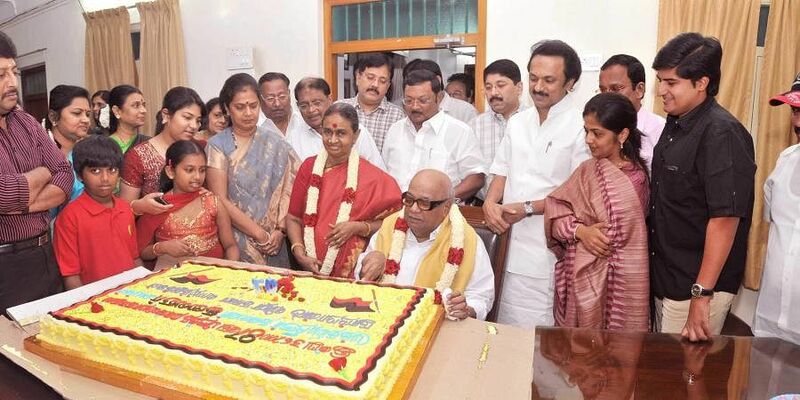 His oldest son Muthu, born to his late wife Padmavathy, died early; Azhagiri, Stalin, Tamilarasu, and Selvi were born to Dayaluammal, while Kanimozhi is the only daughter from his third wife, Rajathiammal. First son M K Muthu born to late Padmavathy, had a brief stint in film and politics; he acted in a couple of Tamil films and also sang a few numbers in some of his films. Second son M K Alagiri born to Dayalu Ammal, is active in politics and was a Cabinet Minister of Chemicals and Fertilizers from 13 June 2009 – 20 March 2013. Settled in Madurai after marriage, he has been a party strongman in southern districts of the city. There have been various clashes in the state between his supporters and his younger brother M K Stalin’s supporters over succession and leadership of the party. Third son M K Stalin also born to Kalaignar’s second wife, is a keen member of the party and was the coveted Deputy CM of Tamil Nadu from 2009 to 2011. Previously, he was the Mayor of Chennai from 1996 to 2002. Treasurer and the Youth Wing President of the DMK, Stalin was named the party supremo’s heir, thus ending confusion around the successor of party in case of Karunanidhi’s death. Fourth son M K Tamilarasu also born to Dayalu Ammal, is a businessman and a film producer. He is a well-known campaigner for his father’s party. His son Arulnithi is an actor in the Tamil film industry like his cousin Udayanidhi (son of Stalin), and is best known for playing the lead role in ‘Vamsam’, directed by Pandiraj. Fifth in the lineage is his first daughter, M K Selvi. Born to Dayalu Ammal, she is inert in the political scenario except for campaigning for her father in elections. 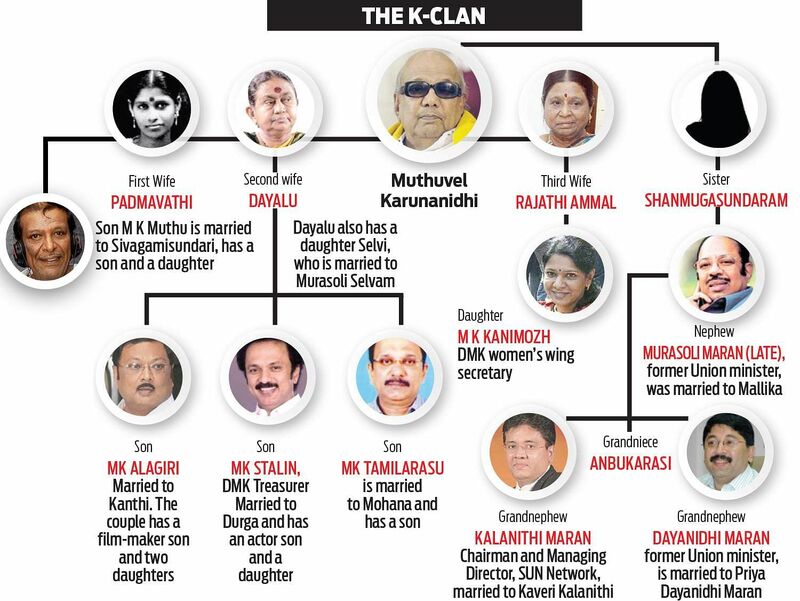 The sixth and last of Karunanidhi’s children is Kanimozhi. Born to his third wife Rajathiammal, Kanimozhi is also enthusiastic in the party and is engaging in social and political issues. Being a poet and journalist, she functions as the chief of the party’s wing for Art, Literature and Rationalism, and is seen as her father's "literary heir".